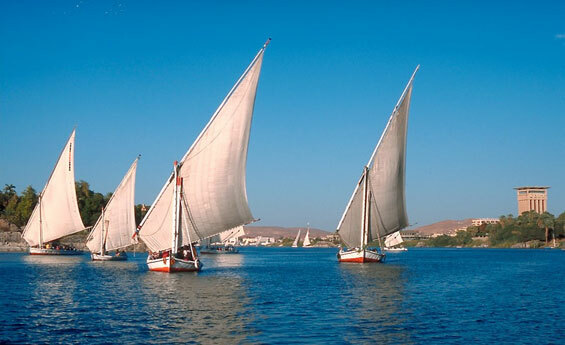 Discover the most enchanting places in Aswan and enjoy the fresh breeze of the Nile on board a Felucca boat. Visit Botanical Gardens and amuse yourself with its known for its tranquility and wonderful plants. Shaspo Tours representative will pick you up from your hotel in Aswan, transfer by air-conditioned van to the embarkation point of your Felucca in Aswan, Start riding your Felucca, explore Aswan on different way while you are sailing on the magic Nile River, have some relaxation away of the city, touch the natural beauty while sailing around Elephantine Island, visit Botanical Gardens, it is famous with its abundant plants, passing by Aghakhan Mausoleum, at the end of your Aswan Felucca ride, transfer back to your hotel in Aswan.